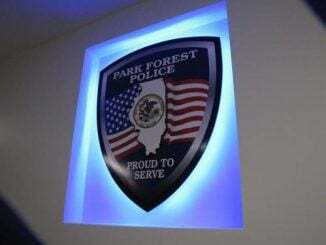 Park Forest, IL-(ENEWSPF)- Will County State’s Attorney James Glasgow was on hand at Monday’s Village Board meeting to welcome K9 Tucker, the newest addition to the Park Forest Police Department. 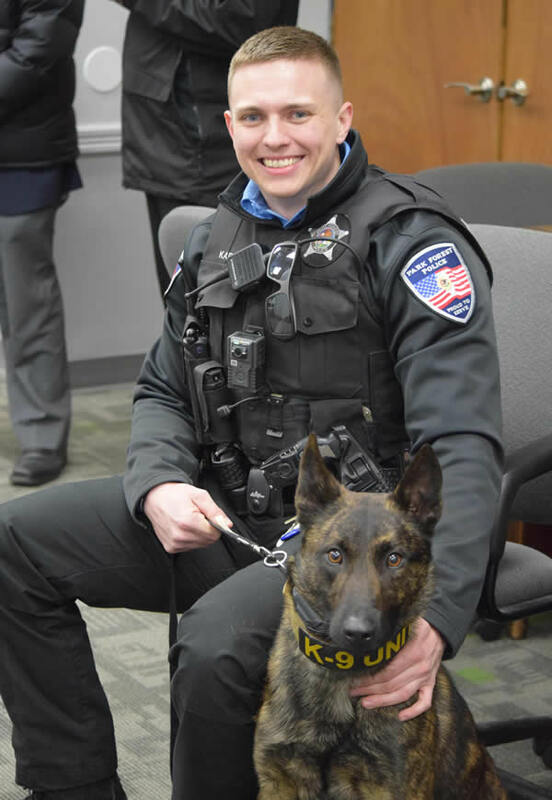 With his handler K9 Officer Charles Karl, the 18-month-old Dutch Shepherd has already helped arrest one alleged offender on two separate occasions, according to Police Chief Christopher Mannino. 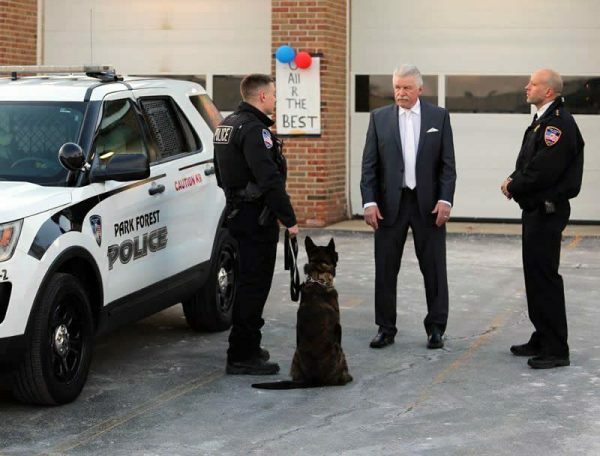 “A donation of nearly $18,000 (funding from drug asset forfeitures) by Will County State’s Attorney Glasgow paid for the purchase of Tucker, training for him and Officer Karl, and outfitting the new K9 police vehicle,” police said in a statement. 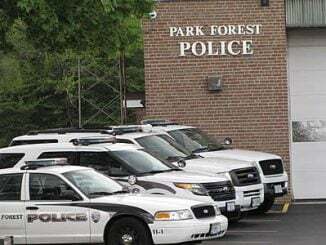 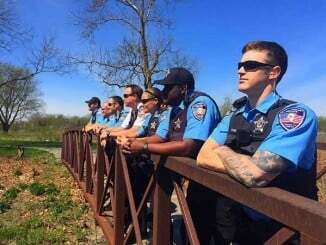 “We are proud to have a K9 team serving again in Park Forest and are thankful to Will County State’s Attorney Glasgow for helping to make that a reality,” police said.